Hive Hosting Review 2019: Is Hive Hosting a Good Hosting? 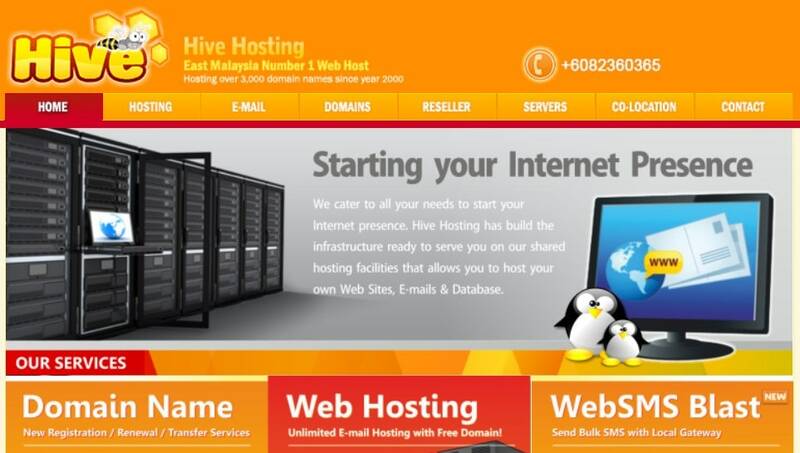 Hive Hosting is an established web hosting company based in East Malaysia. The hosting vendor started its operations in 2000 offering basic shared hosting until 2003 when the firm acquired its own servers and began offering VPS, dedicated server solutions, and colocation services. Hive Hosting is a Malaysia-based hosting vendor offering an array of hosting services including shared web hosting, reseller hosting, domain name registration services, dedicated servers, VPS, colocation, and email solutions. The hosting provider was established in 2000 under Filuren Network, its parent company. Filuren Network acquired its own servers in June 2003 making it possible for Hive Hosting to offer advanced web hosting solutions to its local and international customers. 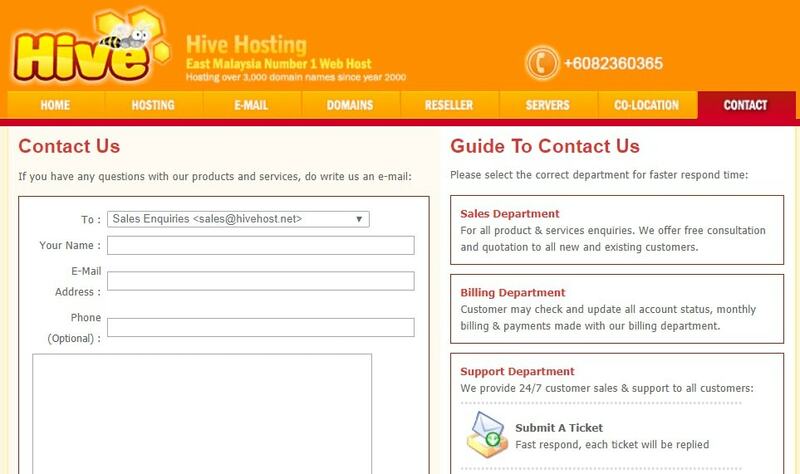 Today, Hive Hosting is on the list of the top thirty web hosting companies in Malaysia by market share. Hive Hosting servers are hosted in data centers located in Malaysia and the United States. The servers are monitored round the clock by its dedicated and experienced technical staff making sure the servers are always up. This is supposed to enable the vendor to deliver fast and reliable services to its customers. However, the reality is quite the opposite. Hive Hosting servers crash often as a result of incessant overloading. This is perhaps because the servers don’t have the specs to handle the growing list of websites they host. Even customers with small websites such as blogs have complained of frequent server downtime. What’s more, outbound traffic is often a bit slow, which leads to slow website loading speeds. Hive Hosting offers daily and weekly data backups. Daily backups are performed every midnight on the vendor’s internal servers while weekly backups are performed every weekend and stored on its external servers. It’s worth noting that, Hive Hosting does not own the data its clients upload on its dedicated servers neither does it seek to have access to them. This leaves its customers with the freedom to “do whatever they want” with the servers. In addition, customers are responsible for their own hardware and data hosted on the vendor’s server racks. Hive Hosting’s hosting plans are quite expensive. And given its slow and unstable servers, its packages are not worth what they are asking for. Prices are listed in Malaysian ringgit. The vendor’s hosting plans come with flexible monthly and annual billing cycles. Customers who subscribe to its annual hosting plans get a free domain name. Hive Hosting offers a 30-day money-back guarantee for first time customers. The vendor does not offer any uptime guarantee, which is not surprising given the many hours of downtime that its customers have to contend with every month. Customers can get in touch with this vendor via telephone, email, and ticketing system. Hive Hosting does not have a live chat. The vendor also notes that it its telephone number is for general inquiries only; it does not offer technical support over the phone. Hive Hosting says that its technical support works round the clock, though I opened a ticket with this vendor enquiring about its WordPress hosting and never got a reply. In addition, the Hive Hosting knowledge base is quite limited. Hive Hosting is a noteworthy hosting vendor in Malaysia, yet it has failed to solve its incessant server issues that its customers have been complaining about for quite some time. This is, perhaps, why it has shied away from committing to an uptime guarantee. The vendor’s unresponsive support clearly shows that it has to somewhat neglected its obligations to its customers. Data centers in Malaysia and the U.S. Wondering how Hive Hosting stacks up against other Web Hosting companies? Enter any other Web Hosting company and we will give you a side-by-side comparison.